Engraving of James William Denver, 1817-1892, by J. C. Buttre of New York, from an ambrotype by Mathew B. Brady. Denver was the 7th Kansas Territorial Governor. 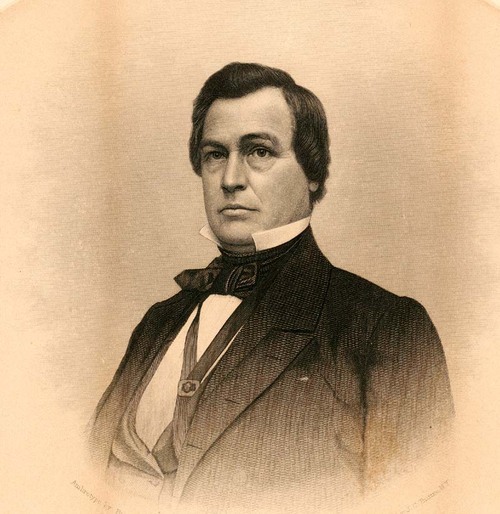 He served as acting governor from December 21, 1857 to May 12, 1858. He was appointed governor and served from May 12 to July 3, 1858 and from July 30 to October 10, 1858.